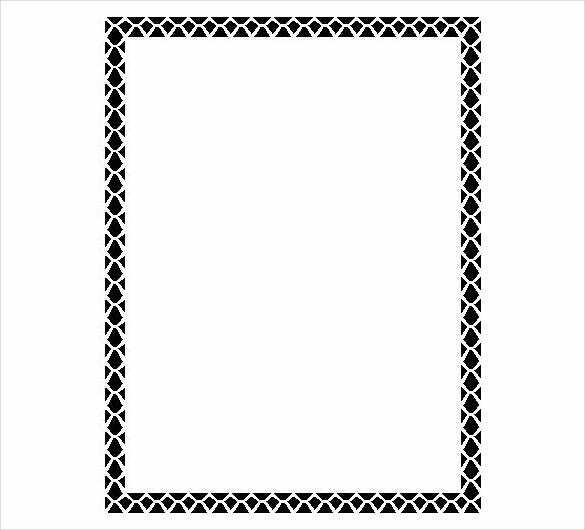 If you are looking for the file where you will just need to put text and styles that matches the celebration of yours, you can apply holiday stationery template found at Holiday Border Template where you can use images and themes that matches the feast of the day. The template is available at Microsoft word, PDF and excel format so you can download it with ease and apply it in the project you are working to. Making it more attractive and unique is possible in the template, with its features to make it more relevant to the project you are assigned to make, with adjustments in the color, style and images is possible in the template, it is all wrap up in one package you can have. You can also visit Holiday Template. This is a sober yet beautiful holiday stationary template that can be used for the purpose of using people merry Christmas. The look is classy, with dark border and gold star around, with three midsized stars on the top left side of the paper, and a big golden star on the bottom lower side. At the bottom there is a Christmas wish printed in golden. This template is good for official uses and can also be used for wishing family and friends. This is a holiday template suitable for the winter holidays, but without a religious imagery or Christmas wish, and therefore can be used more formally, and for official wishes. The border of the template is a combination soothing blue and grey which reminds one of winter, and designed with snowflakes and gift boxes. You can write your message on the middle portion and send it to the people you want. 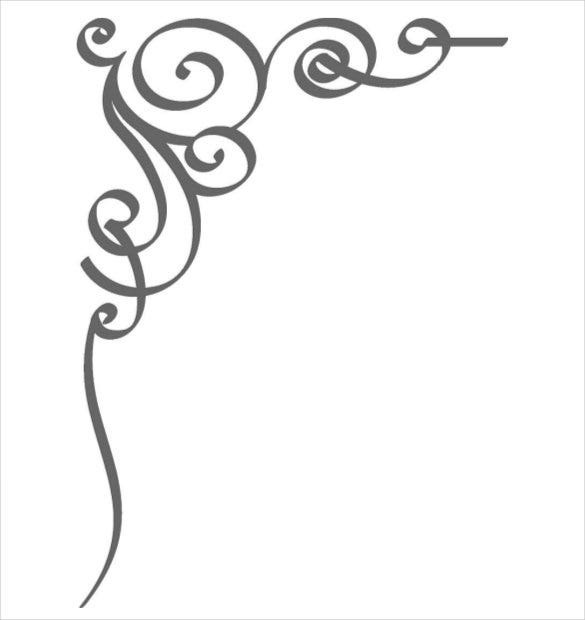 This is another beautiful letterhead template, which is simple yet festive in design. On a white paper there is a “happy holiday” message written in red, and a few decorative pieces in red and sea green hanging on top of the letterhead and also at the bottom. This is a bit informal in nature and not too religious either, so it can be send to a lot of people for wishing them. If you are keen on spreading the Christmas cheer and you love to indulge in the idea of Santa this is the ideal holiday template for you. Moreover, if the wish is going from a family with kids or to a family with kids, this could be a very good stationary. 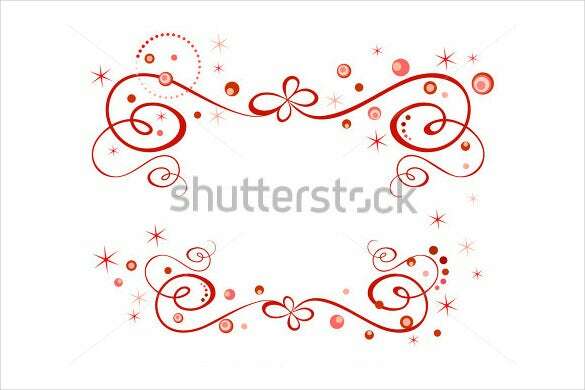 The design is simple with red borders on the white paper and on the top middle section there is white Santa Claus impression on a red background. At the bottom of the page there is a Christmas wish too. 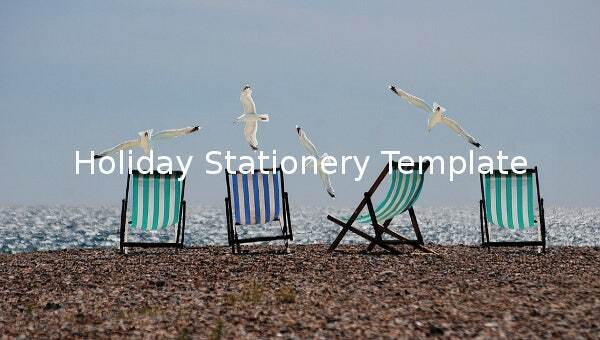 The holiday stationary templates could be quite useful when it comes to sending wishes to family, friends and even colleagues. 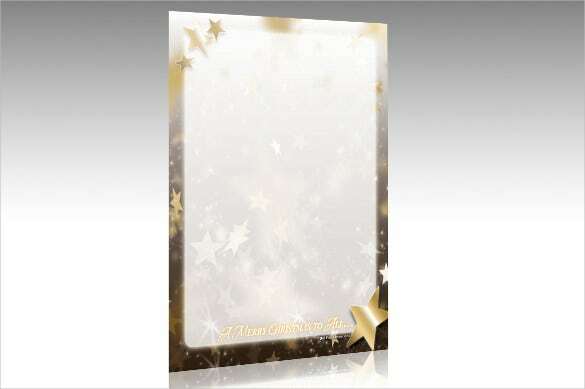 The wishes are made more attractive through the designs, and since these templates are available in various formats such as word document and PDF, you can just download them and get it printed for sending your own wishes. You can also modify and make some features more attractive.